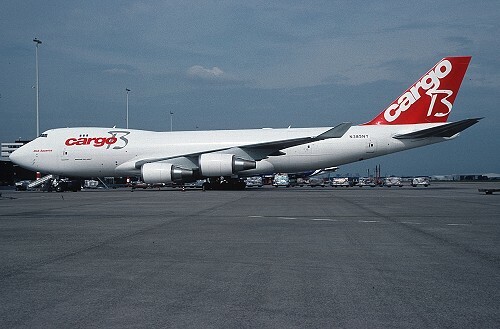 Description: on May 12 2009, the fourth B747 of Cargo B Airlines arrived factory fresh at Liège on lease from Nippon Cargo Airlines. Baptized "NCA Aquarius", it went operational four days later and is still current. On June 29 2009, she returned from her final journey São Paulo - Quito - Bogota - Caracas. 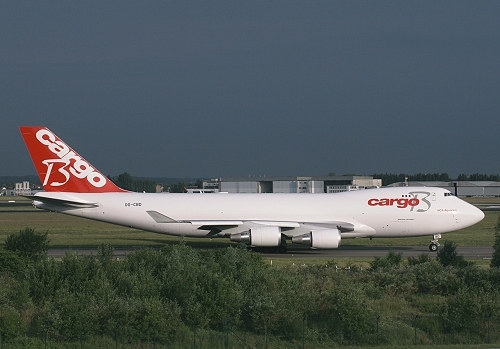 The same day, ferried to Schiphol pending maintenance on return to Nippon Cargo Airlines, two days later the Belgian carrier ceased operations. It was the last active airframe to leave Belgian soil. Description: still in full colors but reregistered N385NY, just before its ferry to the States.